The BC Liberals excuse for not providing more transit south of the Fraser is that the population is not enough to support it. But as usual that interpretation depends very much on how you look at the statistics. For instance the Metro Vancouver area in general looks very low density – until you take out the Green Zone (the ALR, the closed watersheds, the parks, the water and so on) and other undeveloped and in, most senses, undevelopable areas. So there are empty places and low density places and high density places. Sounds kind of obvious? Well yes but when you look at density calculations the easiest way to do them is take the population and divide it by the municipal area. But we know that is highly misleading. So the good folks at the Surrey planning department did some more sensible sums and determined that the developed bits of Surrey are denser than the developed bits of Burnaby. The Valtac blog has the details. You should check it out. This lecture was part of the 2008 Lulu series “Art in the City”: a discourse with experts on the value of art in the city. The people dimension in city planning. When Professor Gehl first graduated, architects were big and arrogant and people were small and insignificant. Modernists thought streets were bad. They designed towers in the grass. Most schools of architecture didn’t talk about people – and many still don’t. They were led astray by Art: it looks good in a magazine but people won’t use it. That was forty years ago, and then after studying it for a long time people started asking him how it should be done, so he started a consulting firm eight years ago: they call themselves “urban quality consultants”. A city must be lively, attractive, safe, sustainable and healthy. During the car invasion of the 1950s planners and politicians panicked. They thought that the purpose of life is to have more cars. Cities were designed for cars and parking. This became a universal craziness and it still is around. But fifty years of cheap petrol are coming to an end. All city planning then was about the capacity of roads and parking. Every city has a department for traffic engineers. Is there a city department for pedestrians and public life? Does anybody know anything about people? His mission has been about making people visible in the city planning process. It is essential to realise how important people are: cities are for people and nothing else. His firm now works all over the world and everywhere they establish the importance of looking after people. In the new city it is the spaces between the buildings that matter. This public space has to serve three purposes – meeting, market and connection. This was always a matter of a fine balance in the same space, and it is still seen in many cities where economy is not “advanced” i.e. where there are no or few cars. Once moving started to explode it took over everywhere. We have lost the understanding of cities: I wish that had copies of his illustrations of the indignities people have to suffer to negotiate around parked cars. In motorised cities respect for people disappears. He had one picture of the “Naples slalom” – a tricky manoeuvre to get around cars parked on the sidewalk without stepping into traffic. Sydney is typical: all the streets are the same, wall to wall traffic which pushes people to the side. 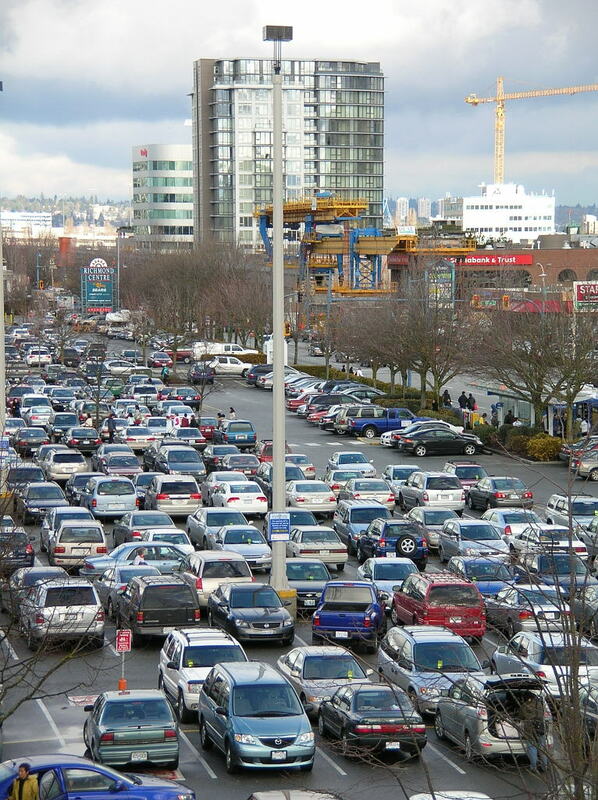 “Traffic is arbitrary” – it fills all the space available. “The amount of asphalt required for car is not in the UN charter of human rights”. In Manhattan, while there are wide streets they have only 25% of the capacity they “should” have, according to the traffic engineers. The car invasion gets worse every day. You can never have enough asphalt. This continues until someone puts their foot down and says “enough”. In Bogota, Columbia it was the Mayor who said we cannot accept this anymore. We need wide sidewalks, bike lanes and rapid buses. There will be no more parking lots. He showed images of the abandoned city – Meridian Mississippi. There are no pedestrians. The only place you can walk is the mall which is open for exercise only between 8 and 10 am. He showed an image Main St, Clarksdale Miss (not this one). “The blues were invented here”. In Miami there are no streetlights, as it is assumed that everone has their own headlights. Houston Texas is the city with the fattest people in the world. He spoke about how professors at Berkeley behaved driving a short distance from home to work, then circling to find a parking spot. They would run at lunchtimes, then drive ten minutes to get home. He had also this archetypal image of the escalator to a San Diego gym. The reconquered cities: from the 1980s onwards cities started to find a better balance between meeting market and motoring. He has found nine cities including Barcelona, Lyons, Strasbourg, Curitiba – and each has the necessary qualities – lively, attractive, safe, sustainable and healthy. And they did this by putting the emphasis on walking and bicycling. Each has curbed unrestricted car driving. They have discovered the importance of public life. His book “New City Life” looks at the change in the use of cities. In the 1960s the first street in Copenhagen was made traffic free as a shopping mall. Now we understand that city life is more about recreation than shopping. The shift in emphasis has been from market to meeting. People come downtown to see what is going on. The city is a destination in its own right. We are now an experience oriented society, but due to family fission and smaller homes if you want to see other people, you have to get out of the house. We want the kind of quality we see when we go on holiday in our own city. People leave the underpopulated suburbs to come into city, not seeking out greenery but the company of other people.”Life is too short to go on holidays”. There is a shift away from suburbs and isolation. People want density. Things happen that are optional. Cities are worth going to because they are lovely. Since 1960 we have seen an increase in traffic calming, pedestrian streets and better public urban spaces. It has been suggested that cyberspace will become the place to meet but people like to participate too. You might see something on tv, but that will inspire you to visit it to see for yourself. social dimension – city as meeting place – people watching is the number 1 attraction (and 2 3 4 5 6) A sidewalk café is for girl watching: this is serious, harmless business as old as mankind. He also noted the dimension of enjoyment – sheer fun (illustrated with statues that had been capped with traffic cones). Better conditions for bicycles. After the oil crisis in the 1970s the city of Copenhagen decided to build a city wide bike network – special lanes, crossings, traffic lights that give cyclists a 6 seconds advantage and a “green wave” for bikes which means that if you ride at a steady 17kph you will not have to stop and restart. If you make it comfortable to walk not to drive, or to ride a bike, people respond. Cycling doubled in 10 years – there are now more bikes than cars in Copenhagen. The current mode share is 36% bike, 27% car, 33% public transport, 5% walk. This is one of the lowest percentages for cars and it is Copenhagen’s intention to become the No 1 bike city in world with a 50% mode share and half the accidents: because when there are more bikes, there are less accidents. Better quality public space means there are more people as the city moves from being a traffic place to a people place. He then turned to Melbourne. “It could be Richmond” In the 1980s the city centre was dead. The City set about making it a real city centre and two reports “Places for People”produced 1994 and 2004 show how it was done. By the use of incentives to developers the number of residents increased from 1,000 to 10,000. (These incentives have now been withdrawn as they are no longer needed). The university was encouraged to relocate some departments to the city centre, which brought students into town. New, good quality public spaces and retention and extensions to the tram system. All sidewalks are high class – with public art, trees for shade, and high quality street furniture. The city is an outdoor art gallery for contemporary art: most of it is on temporary display to provide variety and continuing interest. Light is used as art on structures. 500 trees a year are planted. As a result there are now 40% more pedestrians and a 300% increase in “stationary activities” (like people watching) The city has the ambiance of Paris, a booming economy and has won the world’s most livable city award several times. “You should invite Melbourne’s planner Rob Adams to Richmond”. Melbourne is now going to introduce bike lanes “Copenhagen style” i.e. inside the line of parked cars. New York is going to build 4,000 miles of bike lanes in the next 15 years. A – We used to have two types of street (car and pedestrian) now we have eight types including pedestrian priority and “access allowed”. It is not a black and white choice. “Slow traffic is OK too”. A – While the plan is to move that way, Gehl likes pedestrian priority better than shared streets. He was against the idea of traffic sign free streets being tried in Holland. He was very critical of that way to doing it – “people should be free of worry”. We need quality in how people feel about it, not just accident statistics. A – “I will sign the paper”. Look at airports and shopping centres. They can afford marble. We should have that attitude for our public space. We need lovely public spaces. In Melbourne the City designed the chairs and tables to be used for street cafes. If you wanted to put out tables and chairs in the sidewalk you had to rent them from the City. The standard was the same as in Paris. The questioner responded that we are surrounded by granite, so it should be easier to get better materials than concrete. Q – “We get rain here. Do we need covered areas?” In one park a covered space gives comfort for people to hang around or even occupy public space. A – Both Calgary and Minnneaplois decided to build skywalk systems. These are enclosed but completely commercial. We should celebrate the nice days not build protection for the few days when the weather is bad. Norwegians stay out in open markets all winter north of the arctic circle. “I have no firm answers. All climates have wonderful squares. Dress appropriately and leave it up to individuals”. Q – Can we reduce the need to commute from bedroom communities? Brent Toderian said that he had visited a suburban neighbourhood in Copenhagen that had the worst North American systems. How do you make suburbs more urban? A – The interest in new cities is only forty years old. The roots of the projects you refer to were in the previous generation. We now have a whole new approach and are making heroic efforts. The blunders of the past will not happen again. The city centre is quite wonderful, it has an urban culture based on leisure and an experience oriented society. New spaces really lift a neighbourhood. We are now moving out of the city centre and change will come to the suburbs in the next ten years. Q – A White Rock councillor asked what height buildings should be? But he also wanted ideas to help regenerate the waterfront park while they are urbanising the core, as the town centre has grown, the waterfront are always just adds more parking spaces. A – While the problem is well stated I cannot answer you as I do not know enough about White Rock. In Oslo they are putting their freeway into a tube so that th waterfront can be reopened. they have to determine what kind of spaces will they need. they held a competition to determine that. Then they asked “how do we place the buildings”. Note that this is the reverse of the usual process. Normally the space is what is left over after the buildings have been set down. In the 21st century you start with people, then do you do the places, then the buildings are made to fit the place. a – There is no smart answer to that. When you improve the area new people move in. This should not stand in the way of improving cities. You also need a social policy. Bogota used transit as social policy providing good transit not more roads for cars improves the lot of the poor. At the end of the evening Professor Gehl wanted to present a copy of one of his books to the Mayor of Richmond. There was no Mayor to take the book – nor any councillors. Only a rather junior member of the planning staff. It was explained to me that there had been a day long briefing by Prof Gehl of the staff, but again no politicians attended. It is very much to the credit of this City that we have a program like the Lulu Sweet series. The organiser had worked hard to get Professor Gehl to come. I think that Malcolm Brodie should be heartily ashamed of himself that he could not spare the time to come to this event – and so should every councillor in the city too. When I look at Richmond, where I have lived for the last ten years, and where I have tried to get some attention paid to these ideas, I feel disheartened. Turning this suburb into a truly urban place is going to be an uphill struggle. It has been pretty depressing so far to see how reactionary most of the engaged public has been. And the absence of any political interest in this lecture is deeply depressing and does not augur well for our future. We may be at the end of the Canada Line, but I do not see us giving up our cars for real culture any time soon. Lord knows, we need to. This somehow got missed by the media I saw on budget day but it is important. The transfer of federal gas tax revenue will now be a permanent policy. It is currently worth $49 a year and will grow to $123m by 2010. Which is not a trivial sum. The City of Richmond wants to call its proposal for development on the Garden City Lands (still in the ALR and already turned down once by the ALC) “smart growth”. But it is not very smart at all. There are ten principles of Smart Growth and one of them is “protect and enhance agricultural lands”. As usual the needs of the spin doctors and the “optics” are much more important to the cause than doing the right thing. And at the heart of this controversy is the ability of government to suddenly “create” a huge amount of marketable value just by changing the designation of some land. Add in the need to do a deal with a First Nation – who feel, quite rightly, that they have generally been excluded from the enormous wealth creation that has occurred on their traditional lands – and you have a very tricky political situation. The City, by playing fast and loose with language, is committing the same sin as its neighbour to the north. Just calling something by a green name doesn’t make it green. I was going to do something else today, but Google’s alert drew my attention to a long piece in the Chilliwack Times. When you are Mayor, you not only get centre stage at events you attend, you get lots of media space to explain your position on those you don’t attend. Now it is unusual for a Mayor to have such a coherent and well argued case, but it does have a few holes. I will let you read it as it stands – and I suggest you do that first – and then I intend to point them out. The most recent census was in 2006. I know because I worked on it. And data from that is becoming available. I suspect that things may have changed a bit int he intervening period, but in terms of journeys to work (the only ones that the census looks at) we can only choose from what is available to choose. Since Chilliwack has inadequate transit it is no surprise that most people drive. The Mayor goes on to make some suppositions: he may or may not be right, but I really wonder why he could not get real data. The “Rail to the Valley” folks admit in their documents that an upgrade of the old Interurban Line would cost in excess of $1 billion. Note that this is not a direct quote and no source is cited. It may be that you could spend a $1bn on upgrades, but I do not accept that is necessarily the cost. And the Mayor does not look at any of the options in detail. One of the great advantages of using existing tracks is that you can proceed in a gradual way, and you can also avoid large capital costs. Indeed, most of the proposals I have seen have been of this kind. You could get a diesel railcar on lease, and a few temporary platforms, sell tickets on board, and run in between the freight trains. Not ideal by any means, but very cheap indeed. A whole order of magnitude or two below the Mayor’s carefully chosen figure. It does not calculate the cost of buying the freight off of the right of way which is currently near capacity from Abbotsford to the west. It also does not include the cost of the disruption to the hundreds of businesses, who have located on, and use, the rail line to move freight. It does not include these costs because they are not necessary. Freight on rail is not that time sensitive – and does not have to move at periods of peak passenger demand. No existing freight customers need to be inconvenienced at all. And I somehow doubt that the SRY has “hundreds” of customers – though I bet they wish they did. My casual acquaintance with less than train load freight in this area is that it has been declining steadily – but I will concede I may be misled. But the whole right of way and freight argument is a red herring – and a scare tactic and unworthy of a Mayor. As noble as the idea is to provide rail transit from Chilliwack to Vancouver using the old Interurban line, it is clear that this meets the least of our needs. In addition, while cheaper than “SkyTrain,” we would still be spending hundreds of millions to inadequately serve a very few people. “Noble” is just being sarky! No one suggests it would solve every need, and of course you need to be looking at buses where there are no tracks – which is most places. We have a very limited service in our community and little access to additional provincial transit funding. But the Mayor is disingenuous when he asserts that it is lack of provincial funding that is hobbling local transit service. BC Transit views its services as a partnership. And many local municipalities, while they do not like raising property tax to pay for their share, have done so and now have better service than Chilliwack does as a result. As long as there is an inadequate network, ridership will be low. You need to get to the point where transit is a viable alternative for enough people. The Mayor must explain why this has not been his priority up to now. It seems to me he has preferred to keep his property taxes down. Which is fine if that is what his electors want – that’s democracy for you – but don’t blame the province for your lack of enthusiasm for transit spending. He then goes on to trot out the usual guff about lack of demand and population. Which is typically short sighted. And the FVRD is as much a creature of the Mayors as the MVRD – so citing one of its reports at length as though it were an independent source is casuistry. In future, the valley is going to have to reduce its reliance on cars. Sooner or later, trains will have to be part of the mix. If people have more choice, they can make more intelligent decisions – not just about travel today but location of home, school and work for future travel. The real agenda for this Mayor is that he likes the isolation of Chilliwack from the rest of the Valley. That is why he talks so much about the lack of travel from his community to Vancouver. But that is not the market for Rail for the Valley. And I think he knows that, but he also knows the audience he is playing too – and he has played to them successfully for a long time. I wasn’t at the meeting either. But I suspect that the reason people booed is because he did not come to defend his views and subject them to argument. Why should he when the Aspers will give him so much space? A day to celebrate. And perhaps take a break from blogging. Here, courtesy of an email from the Very Short List is an entirely appropriate video about banging the drum about how old you are.